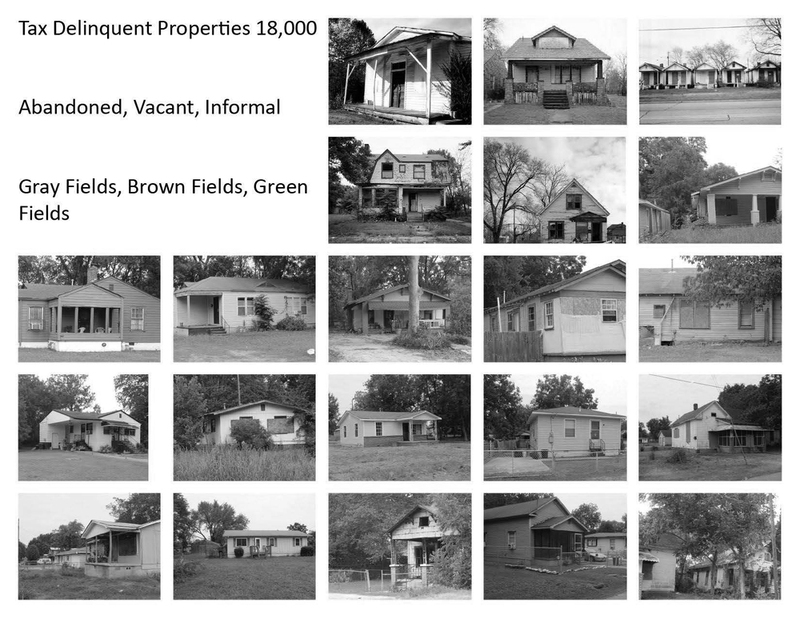 There are over 18,000 vacant and abandoned tax delinquent properties in Greater Birmingham, Alabama. Perceived as overgrown, run-down and uninhabitable, these misunderstood terrains are blamed and shamed. Yet, somehow they hold a promise: they are the priceless condition of future urbanisms. Birmingham City thinks it needs to find solutions to the problem of "urban blight." It's an ongoing issue, they say, exacerbated by the continuing evacuation of neighborhoods considered by residents to be increasingly devalued, unmanageable and unlivable. But sustainability and self-regeneration can be achieved through new environmental structures and relationships developed over time. Living Tissue is an adaptive planning and design strategy that turns the urban blight narrative on its head. It offers regeneration by means of a long-range redevelopment program, building on the cultural ecology of neighborhood, garden and low-key business enterprise. A large-scale network of urban stream, green corridor and small main street start-ups, it's basically an interconnected series of design interventions that contribute to the rehabilitation of neighborhoods affected by blind prejudice.